I was in Cardiff on Thursday where the Housing, Regeneration and Heritage Minister, Huw Lewis, visited the Wales Epic Award Winners, Third Floor Gallery, in Cardiff Bay. It was great to see the gallery and to hear about the innovative work of around 40 volunteers that has enabled this small voluntary initiative to compete, in terms both of the quality of its exhibitions and the footfall of visitors, with the most prestigious photography galleries in the UK. 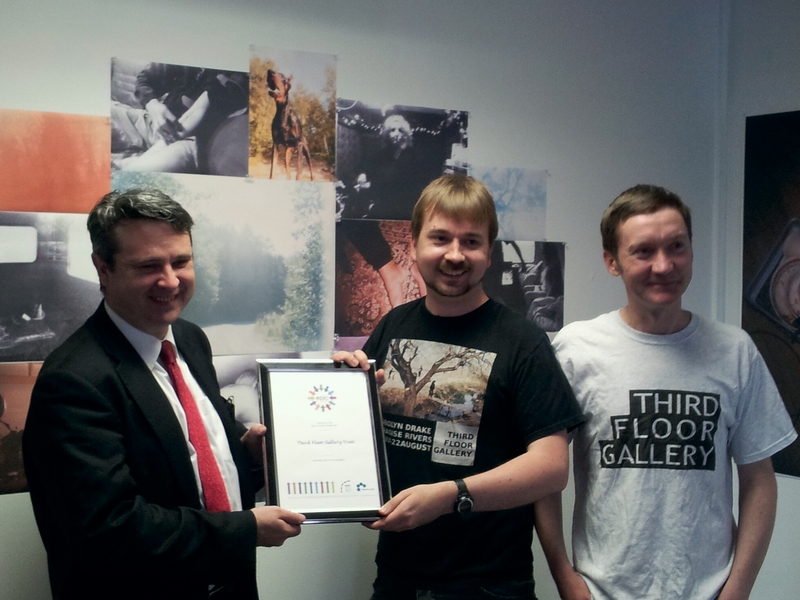 The Minister was genuinely interested and impressed by the achievements of Third Floor Gallery and delighted to be able to recognise this outstanding example of voluntary arts activity by formally presenting the Epic Award certificate. 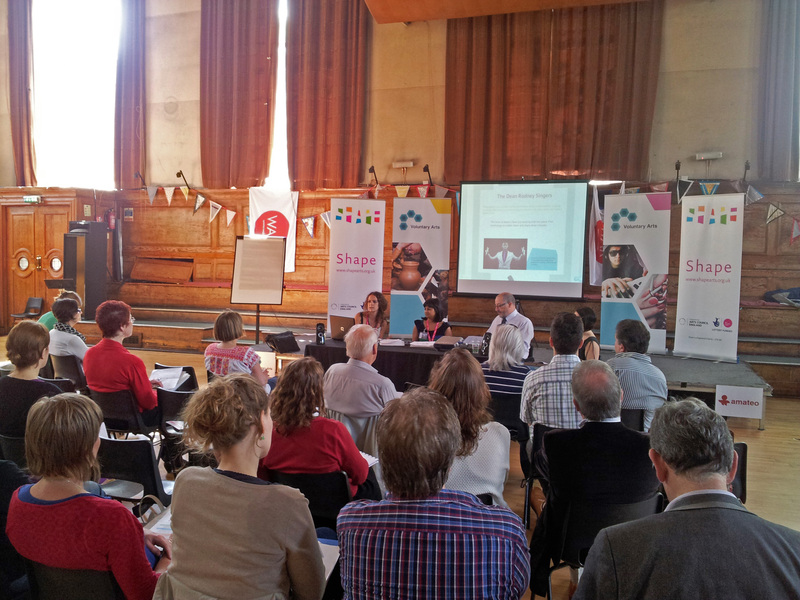 On Sunday, Monday and Tuesday I was at Cecil Sharp House in London for the Amateo conference, ‘Everyone’s a Winner’. It was a wonderful conference – great venue, excellent food, good attendance from across Europe, interesting speakers, fantastic performances and good weather! On Sunday we started with the AGM of Amateo, the European Network for Active Participation in Cultural Activities, and the news that Amateo President Tom de Rooij would have to step down from the Amateo Board as he is to lose his job following the merger of his organisation, Kunstfactor – the Netherlands association for the amateur arts. Together with the retirement from the Board of Amateo Vice President Kaat Peeters, who is about to start a new job in Belgium, this was an unexpected blow to Amateo. We were very fortunate that Voluntary Arts Trustee Aled Rhys-Jones was prepared to step into the breach and will now lead Amateo forward as its new President. On Sunday evening the focus of the conference was the response of the amateur arts to the London 2012 Cultural Olympiad and we were treated to amazing performances by Morris Offspring and Kinetica Bloco. Morris Offspring is a young group led by the choreographer Laurel Swift (who took part in the original consultative weekend we held with the RSC in Stratford-upon-Avon in 2009 which developed the ideas for the Open Stages project). Laurel has been reinterpreting traditional English Morris dancing for the stage and it was great to see Morris Offspring at Cecil Sharp House, the home of English folk music. Kinetica Bloco is a stunning carnival band from South London, led my music teacher Mat Fox who took his approach from Brazil’s AfroReggae (who I visited in Rio de Janeiro in March 2010). Around 50 young people from Brixton and Peckham poured through the doors of Cecil Sharp House to entertain us with a deafening performance that was Brazilian with a strong London flavour and could probably have been heard in Rio! 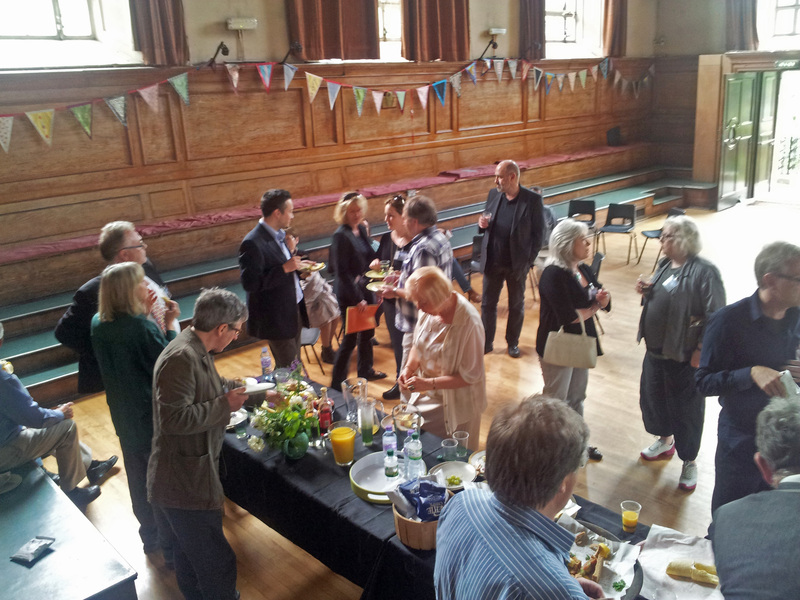 The theme of the conference on Monday was research into the amateur arts. We brought together academics from the UK, Belgium and the Netherlands for a thought-provoking (and occasionally heated!) discussion and made some real progress on a way forward for Amateo to develop Europe-wide research. We finished the day with a compelling performance by Signdance Collective who blur the boundaries between sign language, mime and dance. The final day of the conference focussed on disabled people and the amateur arts with a fascinating series of presentations led by Tony Heaton from Shape and Tabitha Allum from StageText. I don’t think it would be an over-statement to say that the Amateo Conference was a huge success. Many thanks and congratulations to Aled, Helen Thomas, Anne Witton and Gillian Harrison and especially to our conference organiser, Daniel Carpenter. I look forward to the 2013 conference in the Czech Republic. On two consecutive weekends in July (13/14/15 July and 21/22 July) twelve amateur theatre productions from all over the UK will be performing in Stratford-upon-Avon as part of the World Shakespeare Festival. These twelve productions have been selected from more than 270 amateur theatre groups taking part in our RSC Open Stages project and represent some of the best amateur theatre you will ever see. It’s going to be very exciting but also a tough sell as the groups will be performing far from their regular audience base. We are determined to make sure they have as big an audience as possible. Tickets for each production cost only £5. We are also offering a whole day (half day on Sundays) workshop experience with one of the Royal Shakespeare Company’s professional practitioners in voice, movement or stage combat to any amateurs coming to see the shows on that day – all for only £15! Please do join us in Stratford-upon-Avon in July if you possibly can. Please encourage as many people as possible to buy tickets for the shows. I was in London on Wednesday to take part in the second joint meeting of the England Volunteering Development Council and the Network of National Volunteer-Involving Agencies. The first part of the meeting focussed on Giving, Volunteering and Social Care Reform as we explored the issues to be tackled by the forthcoming White Paper on Social Care. Dan Poulter, the MP for Central Suffolk and North Ipswich, who is a doctor and a member of the Health Select Committee, talked about the importance of the voluntary sector in delivering high quality social care, the need for more integrated care (joining up between the NHS and the voluntary sector) and the challenges of an ageing population. He thought that personal budgets and the personalisation of care will provide a real opportunity for the voluntary sector to add value to care and urged voluntary sector organisations to get involved in the new local Health and Wellbeing Boards (which were created by the Health Act, earlier this year). We then heard from Olivia Butterworth from the Voluntary Sector Partnerships and Big Society Team at the Department of Health who stressed the importance of articulating the value of volunteering (as distinct from the voluntary sector) in this context. She referred to the Strategic Vision for Volunteering published by the Department of Health in October 2011 and two new funding opportunities which will be open for applications later this year – the DoH Innovation, Excellence and Strategic Development Fund and the Health and Social Care Volunteering Fund. 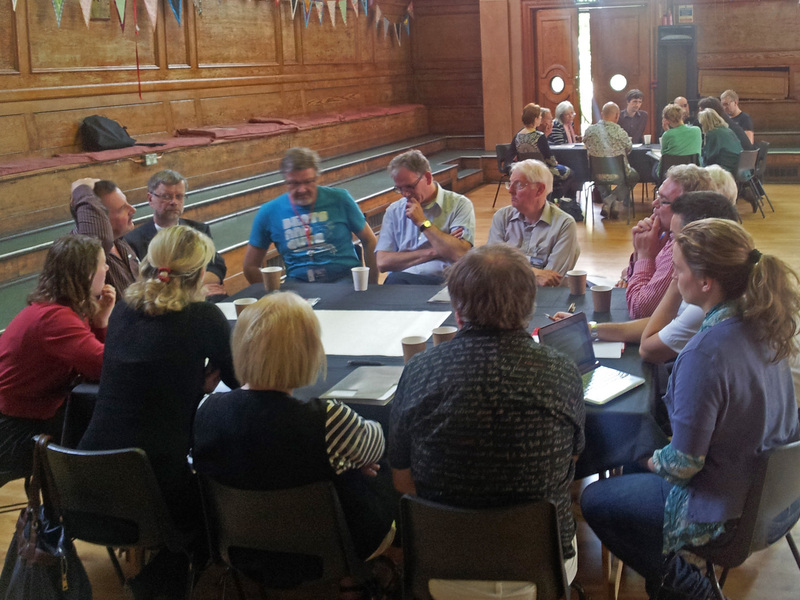 The afternoon session focussed on working together to make the most of national volunteering campaigns & initiatives. We heard from the former Olympic athlete David Moorcroft who is leading the ‘Join In’ campaign. ‘Join In’ hopes to harness the enthusiasm generated by the London Olympic and Paralympic Games to take sport back into the community. On the weekend between the Olympic and Paralympic Games (18/19 August) sports clubs across the country will be opening their doors to encourage as many people as possible to join in – as participants or as volunteers. We compared and contrasted the approach taken by ‘Join In’ with three other volunteering campaigns – ‘Give More’, ‘Make a Difference Day’ and ‘Volunteers Week’ – and discussed whether the proliferation of national campaigns strengthened or weakened each other. It was interesting to compare our approach to Voluntary Arts Week with that of some more established campaigns. On Tuesday I was in London to meet Dan Ellitts, Project Manager at Arts Award. Arts Award started 6 years ago. It was originally run by Arts Council England but last year Trinity College (which has always been the accrediting body for the award) took over its administration on a 10-year licence (ACE still owns the brand). 60,000 young people have achieved an Arts Award so far and 4,000 organisations (including school and arts/cultural organisations) have registered as Arts Award Centres. Arts Award started as a portfolio-based qualification for 11 – 25 year-olds with three levels (bronze, silver, gold). Arts Award Advisers assess the portfolios and Trinity accredits the qualification. The award is about personal development rather than skill level. Two new levels have just been added for primary age children (making the age range now 7 – 25). Although Arts Award started in England it is available more widely. There are currently a couple of Arts Award Centres in Scotland and Wales and Trinity is keen to expand internationally. To become an Arts Award Adviser you need to have had 2 years’ experience working with children/young people. The role is advisory, not teaching, and typically involves signposting young people to arts activities as well as assessing their portfolios. We discussed the potential for members of voluntary arts groups to become Arts Award Advisers and for voluntary arts groups to consider becoming Arts Award Centres. There is a new Arts Award Access Fund which offers grants of £100 – £1500. Arts Award Centres can apply for these grants to fund arts activities for young people to take part in, arts materials, trips to arts events and the costs of submitting portfolios. Dan also told me that the new status of Arts Award Supporter is being launched in June 2012 for organisations who cannot offer Arts Award as a Centre but want to badge their activities for young people. We agreed to explore the possibility of developing a Voluntary Arts Briefing to explain how voluntary arts groups could get involved in Arts Award.